People with Neptune in Aries are always full of energy. Such people are usually able to easily impress others. They are inclined towards religions and strongly believe in God. Sometimes, they even try to convince others of God’s existence and seek to convert them in their own personal venture. For people with Neptune in Aries, religion is of prime importance. At the same time, they may not believe in a traditional religion.They want to raise humanity to a higher plane of existence, which they can try to implement through peaceful ways or through anarchistic methods. People with Neptune in Aries are quite daring when it comes to beginning projects that were generated in their own imagination. However, they also have a weakness. Whenever they are passionate about something, thing may go out of hand and they may be deceived in matters. People with Neptune in Aries are good at dissolving barriers, however and can achieve marvelous things. 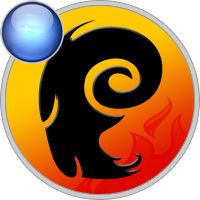 Neptune in Aries questions long-held beliefs and ideals. They seek alternatives to what they grew up with. People with Neptune in Aries always look forward to making changes in art, literature and music. They are inclined towards creative ventures. People with Neptune in Aries work at their very best when they follow their hearts and intuition. They are very interested in survival needs, and will have many creative ideas on how to make things work. Such people usually find themselves idealizing battles of all types. They see the glory of physical courage and warfare. They can find themselves willing to battle over a cause they consider sacred. They don’t really see a line between spirituality and war. They may forget to be skeptical about things long enough to see the real picture. People with Neptune in Aries usually consider themselves to be some sort of a hero. They may be imperfect, but they don’t think far enough ahead to worry about whether they will be in danger or not. Such people will go to any extent if they believe in a cause. Such people have immense energy and passion in matters of urgency. They may believe in converting others to religion in order to make peace from war. They always have a peaceful intent.